Yea, that’s right; this is another photo dump! 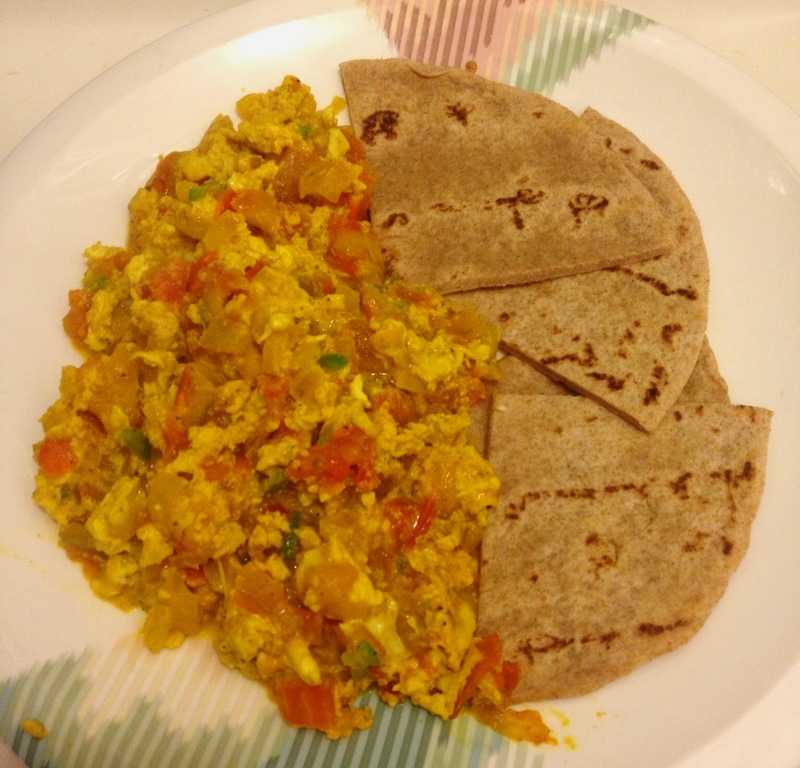 I’m sorry, I’m still getting back in the swing of blogging again and I keep forgetting to take full pictures of my meals. 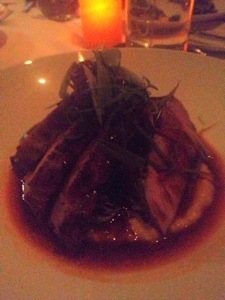 Last Thursday Chris and I headed to Colicchio and Sons, one of my favorite restaurants in NYC. We started by splitting the bone marrow with drunken onions. Bone marrow is one of my all time favorite foods and no one does it better than Colicchio and Sons. Chris isn’t as adventurous of an eater as me, but I think I’ve managed to convert him to the church of bone marrow. Of course I forgot to get a picture. 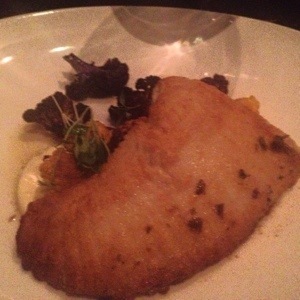 For the entrees I had the skate with brown butter, capers and roasted cauliflower. 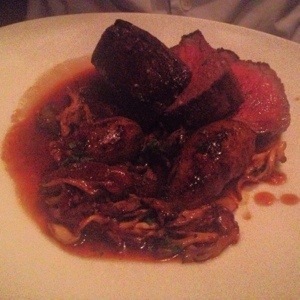 Chris ordered the sirloin with fingerling potatoes and mushrooms. For dessert we decided to split the zeppoles (those are fried dough balls for you non NYC/NJ people) with cranberry compote and honey graham cracker ice cream. Before our dessert arrived out waiter came over and with a free glass of dessert wine for each of us! This is not the first time I’ve been given something on the house at Colicchio and Sons because they know that I’m a loyal customer and a huge fan! 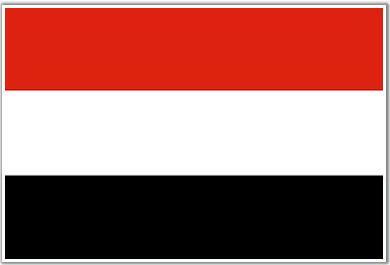 See why I love it there so much? Of course I also forgot to take a picture of the dessert, but it was deliciously decedent and the perfect end to a fabulous meal. After dinner, Chris needed to run back I his office nearby to pick something up. 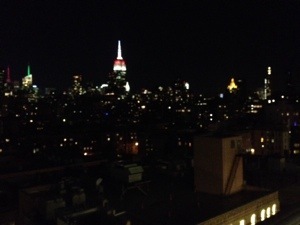 I headed up with him and snapped this pic of the view from his floor. God, I love this city. The next day I headed up to Boston to visit some of my besties and meet my newest bestie who was just born a month before to my friends Heather and Justin. As I’ve blogged about before, Massachusetts has this incredible common sense food allergy law that makes it a pleasure for me to eat there. On Saturday night we met friends at a goo ol’ dive called The Chicken bone for some wings and fries. I had a split order of traditional hot wings and garlic Parmesan. 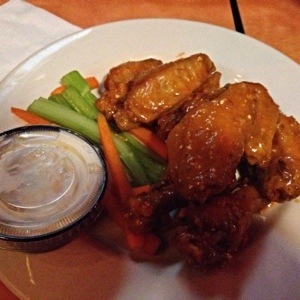 They were delish, though next time I’ll get the slightly spicier wings. 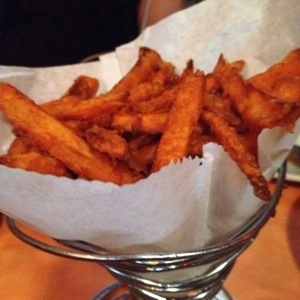 We also split a side of sweet potato fries which we’re the standouts of the night. Yum! 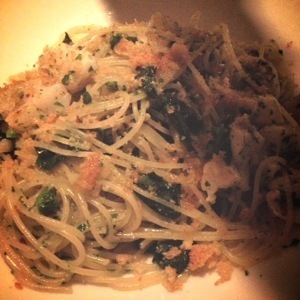 This past Friday I decided to introduce Chris to my favorite casual restaurant, Pepolino. 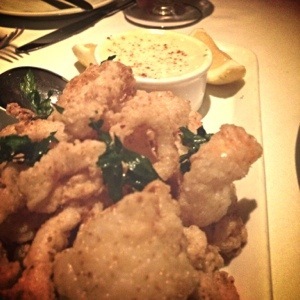 Pepolino is an authentic Northern Italian restaurant downtown. 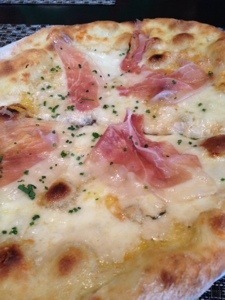 The food is amazing and the ambience, aided by a string of waiters straight from Italy, is charming. It’s a favorite of my family’s and we’re always greeted warmly when we arrive. We started by splitting the spinach sformato, one of my favorite appetizers there, but of course I forgot to take a picture. 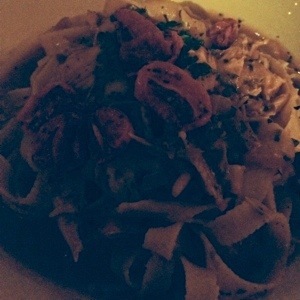 For my entree I ordered the tagliatelle with braised rabbit and slow roasted tomato sauce. Though I’ve convinced Chris to embrace bone marrow, I couldn’t convince him to try rabbit. Oh well, I love it. 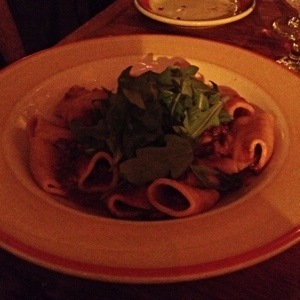 Chris went with the pacchieri, which is similar to a large rigatoni, with spinach and arugula. 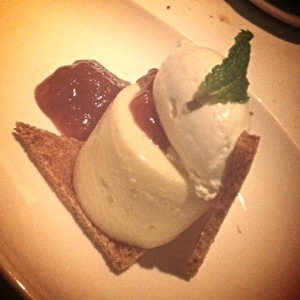 We were stuffed and skipped dessert, which was tough because the ricotta cheesecake at Pepolino is unreal. Luckily, Chris loved Pepolino too and so I know we’ll be back soon. 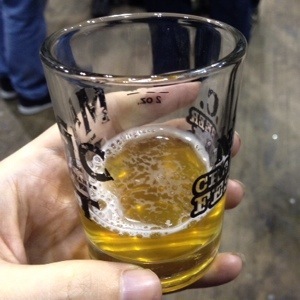 Yesterday we hit up a beer festival. We had a great time and sampled some tasty beers, but my favorite thing I spotted were these pretzel necklaces some people were sporting. Genius idea, no? 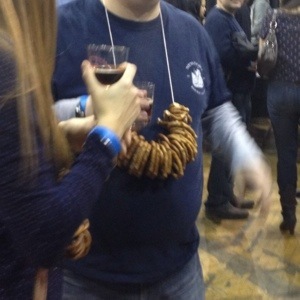 I mean you’re going to want a salty snack after sampling so many beers so why not keep it around your neck! Ok I admit it, this is sort of a throwaway post. Be kind, I’m just getting back in to the swing of blogging. The weather report last Sunday called for a sunny, 60 degree day. Figuring this would be the last warm(ish) day for a good long while, Chris and I made plans to spend the day in Brooklyn. When we left Manhattan it was in fact 60 degrees and sunny. A half an hour later, when we got off the subway in Brooklyn, the sky had clouded over and it was windy and cold which meant it was wise to head to Brooklyn Brewery and warm up with some beers in their tasting room. After getting properly tipsy warmed up we were ready for some food. Unfortunately Smorgasburg is only in Williamsburg on Saturdays, so we hopped on the East River Ferry and made our way to Dumbo which hosts Smorgasburg on Sundays. The Smorgasburg website said they were open until 6pm, but when we got there at 4pm almost all the booths had closed down. 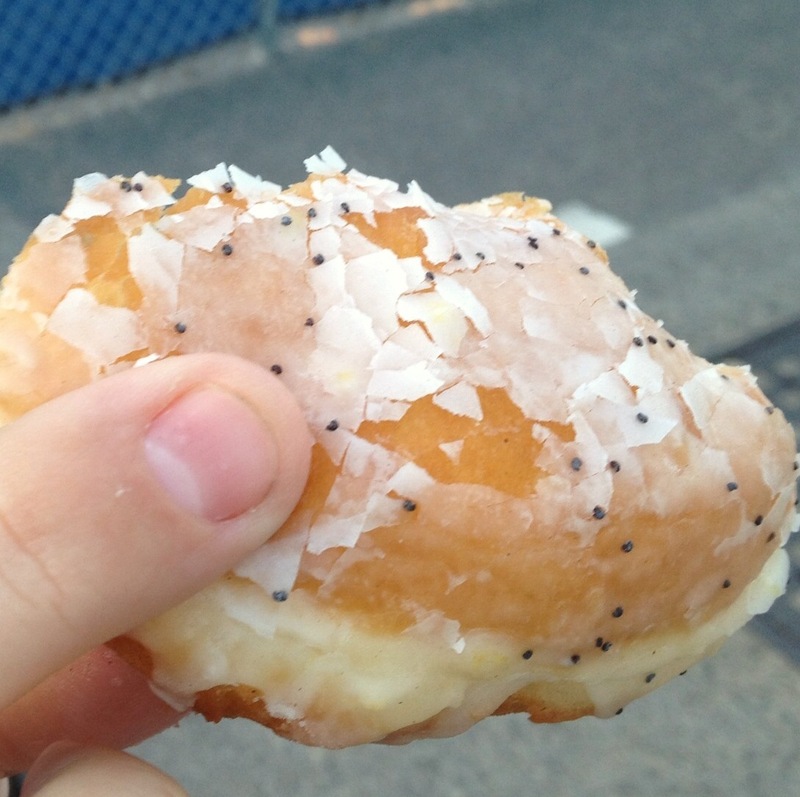 Chris grabbed a lemon poppy doughnut just as Dough was closing their booth, which he reported was quite delicious. I’m allergic to poppy, but it looks nice and light. Since our Smorgasburg plans were foiled we had to come up with a new game plan. Chris suggested we head to Buttermilk Channel and I jumped at the suggestion. Buttermilk Channel is a restaurant in Carroll Gardens with a great reputation and award winning fried chicken and I’d been dying to try it. The restaurant was a good 40 minute walk from where we were, but we’re New Yorkers and it was an excuse to walk through some of my favorite neighborhoods in Brooklyn; Brooklyn Heights, Cobble Hill and Carroll Gardens. We arrived at Buttermilk Channel just as they opened at 5pm for an early dinner. The restaurant is beautiful and homey inside; dimly lit with plenty of windows. When it came time to order I struggled, on the one hand their fried chicken is legendary on the other hand the steak special sounded amazing. 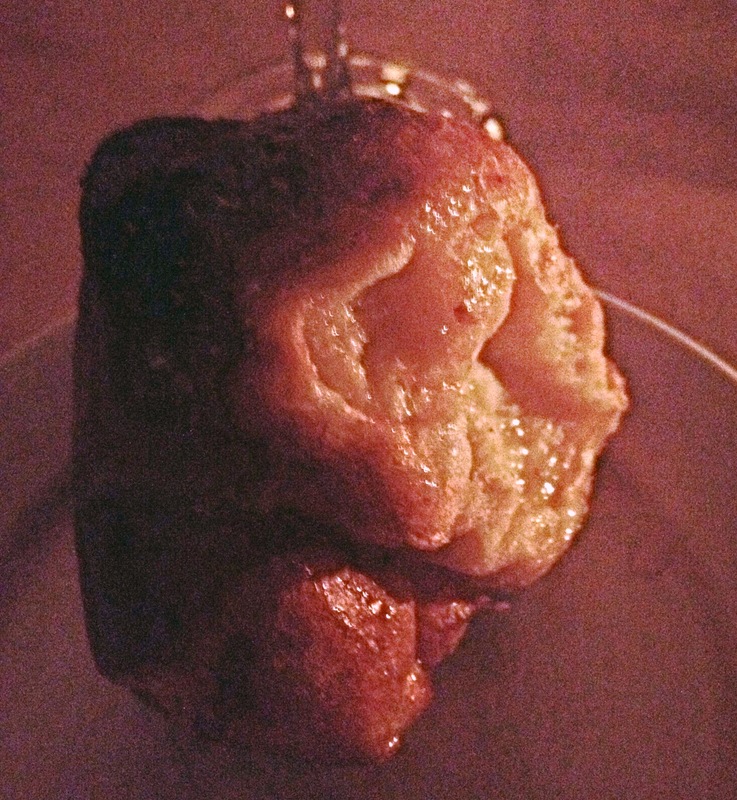 To start we were given warm popovers with honey and sea salt. 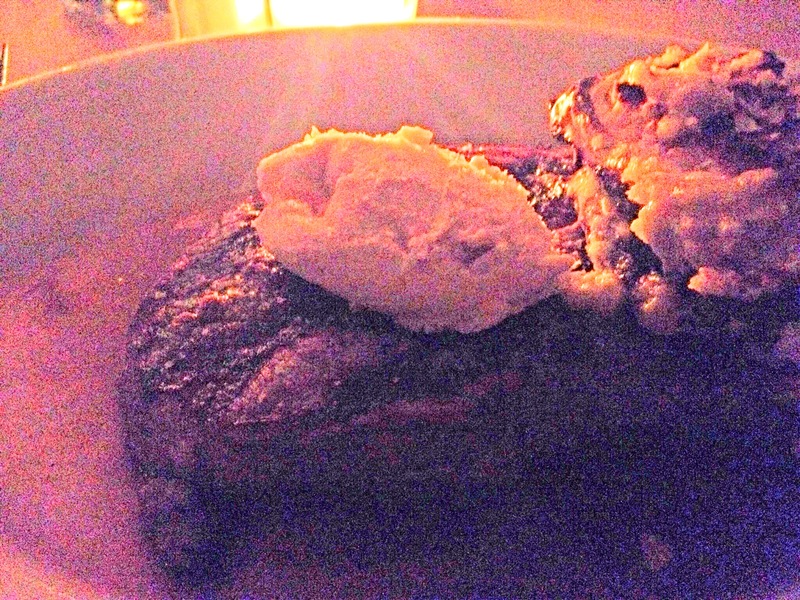 In the end I went with the steak because it pretty much encompassed everything I love in one dish; a ribeye steak with garlic butter and a fennel, blue cheese gratin. O! M! G! I did not regret my choice. It was so good and there was so much of it that Chris ended up eating some of it and I still had enough to throw in to my lunchtime salads for the next two days. Sorry that this picture is so bad, it was very dark in there and my phone was dying. 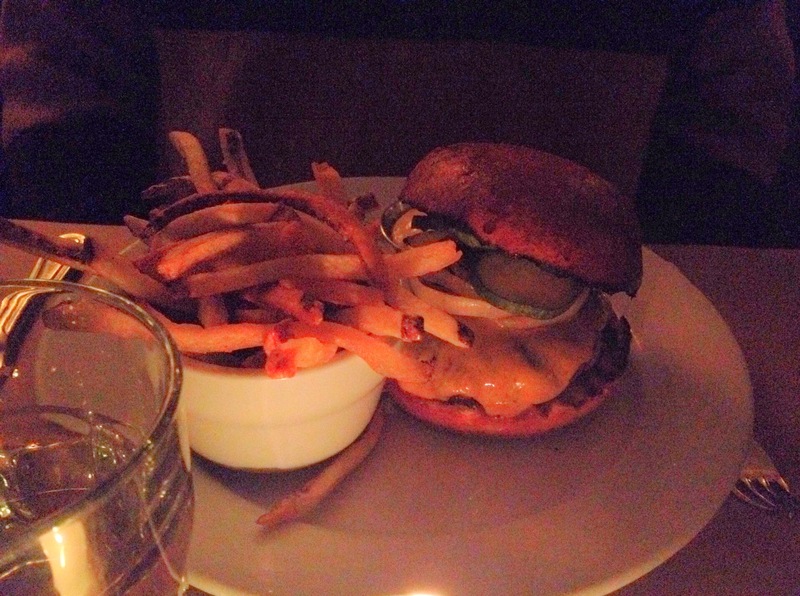 Chris went with the burger which he reported was delicious, nice and juicy and was served with the perfect sharp cheddar melted on top. I stole a couple of fries which were delish too. Because it was so early we skipped any appetizers, but we were both eyeing the cornbread with chili-lime butter. My friend Chrissann, a frequent patron of Buttermilk Channel, said we’d missed out on the squash tart to start and that trying the fried chicken is a must. Ah well this just means that we’ll have to go back and I’ll write up a full review, but needless to say Buttermilk Channel lived up to its reputation! So there are like 4 people who regularly read this blog, but in my absence Google Reader was put out to pasture and I’m not sure that any of those 4 people would’ve bothered migrating their 26 Dishes feed over to Feedly. If a blog is written and no one is there to read it, does it exist? Too existential? OK, here’s what happened. 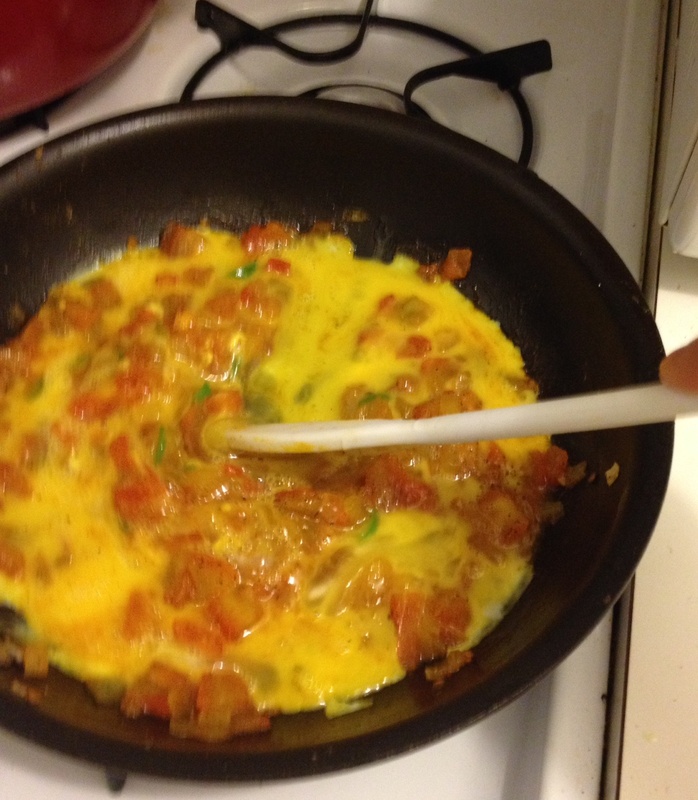 When I started this blog I was cooking for one and that was fine. Then, for a little while, I got myself an taste tester and it was really nice to have someone to try these recipes with me. However, back in April, my taste tester decided that he no longer wanted the job (or any with me) and I was sad. 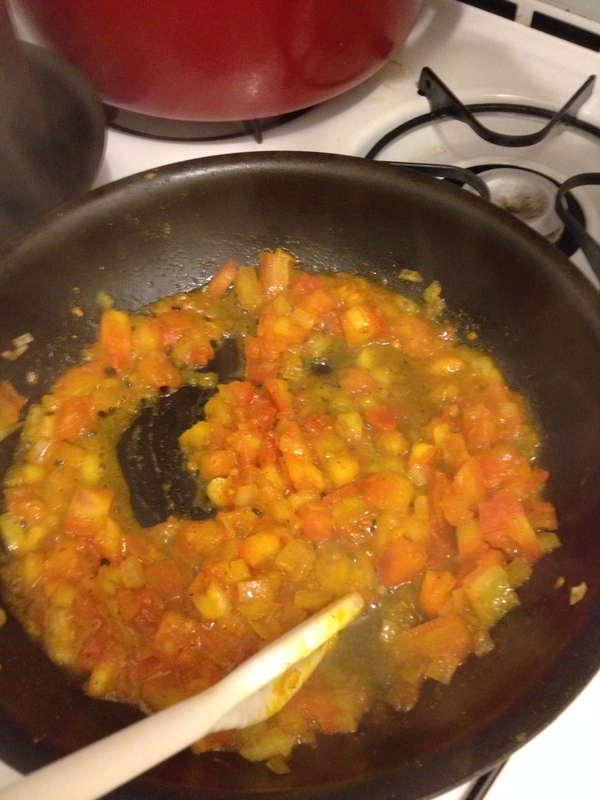 Suddenly cooking for one just seemed like a chore and so I decided to put the project and this blog on hold. After a little while I wasn’t sad anymore, but I was really busy. Like really, really busy. I am famous for over-committing myself, but these past few months took that tendency to new heights. Between my job, my volunteer work, visits to see friends and family, Jewish holidays and a million other things; I had no time to even think about cooking and blogging. I knew that it was time. Well, past time. My September was just too insane though so I thought I’d start some time later in the fall. 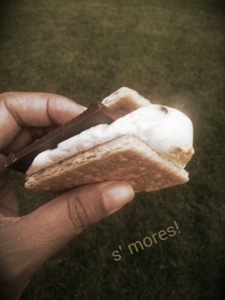 Then a funny thing happened; out of the blue I found myself a new taste tester! 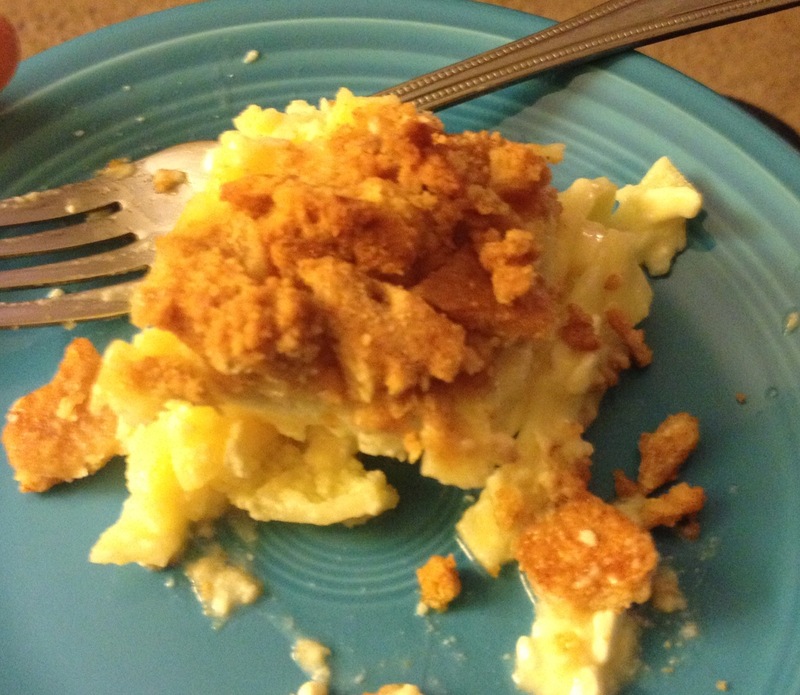 I made the decision to come back to this blog long before my new taste tester, Chris, was in the picture but it is nice to have someone to cook for. So here’s how this is going to work. I’m going to crank out my Y and Z recipes and finish the 26 Dishes project. Then I’m going to start work on a new project (which I’ll announce at another time) and of course I’ll continue to use this space to highlight non-project related recipes, restaurant reviews and other food related items. 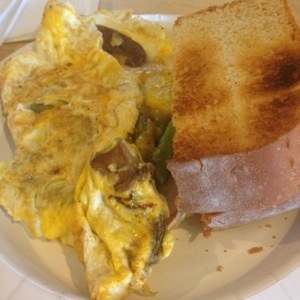 For now, you’ll have to settle for a photo dump of some things I’ve eaten in the past few months. I’ll caption what I can remember, but I can’t promise the accuracy of my recollection. Thanks for being so patient. It’s good to be back! Back in June I spent a week in St. Louis for work. I got to finally meet Nora! 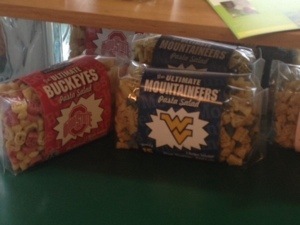 And I also got to try toasted ravioli and Ted Drewes frozen custard; both of which were amazing and both of which I didn’t take pictures of. 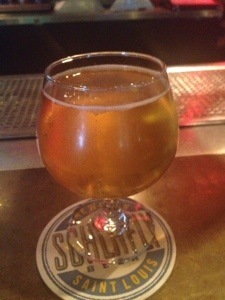 I did get some amazing local beer though, courtesy of Schlaflys Brewery. 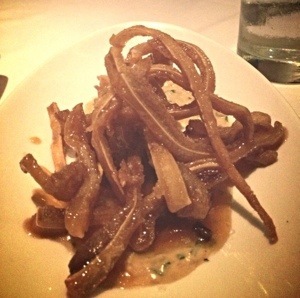 Crispy Pig Ears with tarragon honey mustard. Crazy amazing! This was delicious, but I don’t remember what it was. 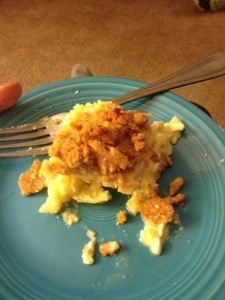 Mascarpone cheesecake with fennel shortbread. Super light and not very sweet so pretty much my perfect dessert. This picture was in my phone. I have no idea where it’s from. OK probably my greatest regret of the blog break is that I didn’t get to write about visiting Michael Symon’s flagship restaurant, Lola! I went on a road trip with a friend to visit her family is Wisconsin and we stopped halfway through to stay overnight in Cleveland. 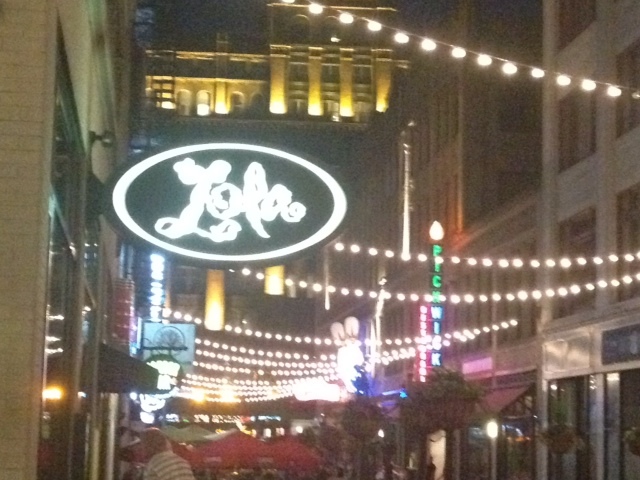 I’m a huge Michael Symon fan and there was no way that I could be in Cleveland without visiting Lola. It definitely did not disappoint. 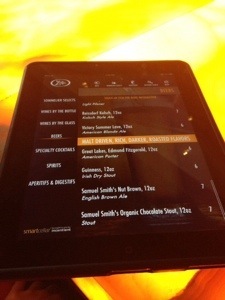 The drink menu comes on an iPad! 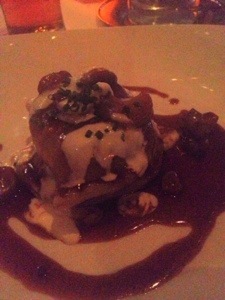 Beef Cheek Pierogi with wild mushrooms, horseradish crème fraiche. 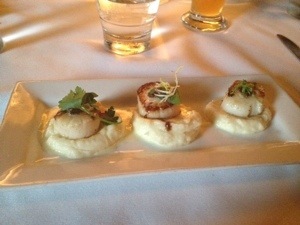 Soul satisfying, upscale comfort food. Then it was on to Wisconsin. FYI, deep fried cheese curds may be the greatest food ever. Wisconsin as represented in food: Local beer, deep fried cheese curds and brat sliders on pretzel buns. 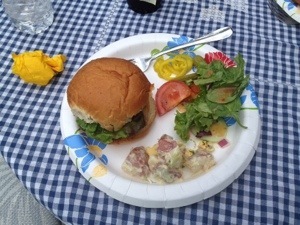 Anna’s family hosted a good old fashion 4th of July barbecue. 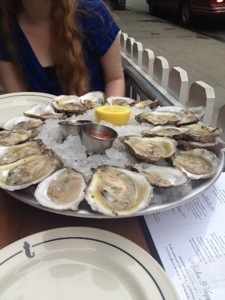 In July my co-worker/one of my besties, Mary and I started going weekly to one of my favorite local restaurants, The Mermaid Inn because the offer $1 oysters and half priced drinks from 5-7pm every day! In August I was so luckily to have Lisa come and visit me for a long weekend. 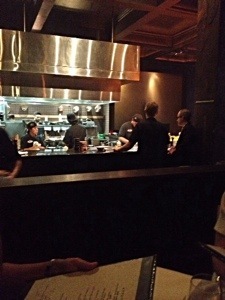 Because she’s a fellow Top Chef fan, we had dinner at Colicchio and Sons one night. We also ate out by the water one day in Brooklyn at Smorgasburg, bought salted caramels in Chelsea market and had some other great food adventures. Of course all I took a picture of that weekend was my corned beef sandwich. 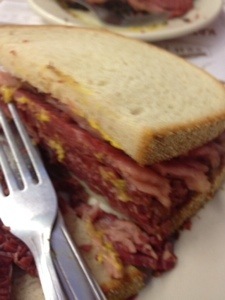 On the other hand, what could sum up NYC better than a corned beef on rye with mustard? 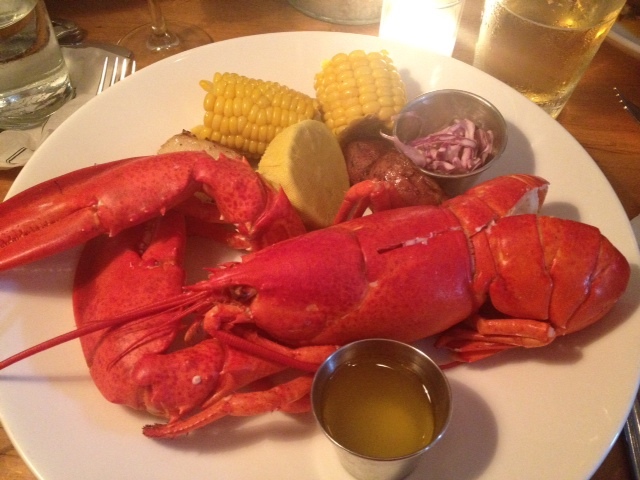 On Sunday of Labor Day I was back at the Mermaid in for Lobsterpalooza! $26 for a 1.25lb lobster, corn and potatoes. A few weeks ago, Becky‘s little sister Jen was in New York for the day and so I met her for lunch at Artichoke Basille’s Pizza. This place opened a few years ago to great fanfare, but I was disappointed. 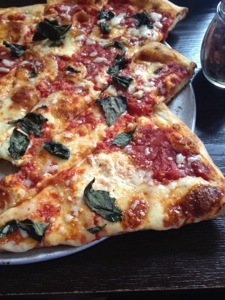 The pizza was good, but in the way that all pizza in New York is good. There was nothing spectacular about it. 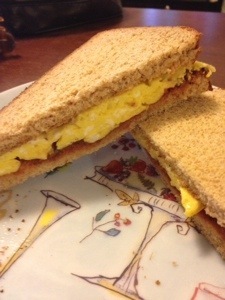 Some days you just need an egg sandwich for lunch. Two weeks ago I flew to Pittsburgh to visit Mandy! Mandy lives in the Ohio River Valley, right next to Wheeling, WV and about an hour from Pittsburgh so I got to eat yummy food in three different states in the course of one long weekend. 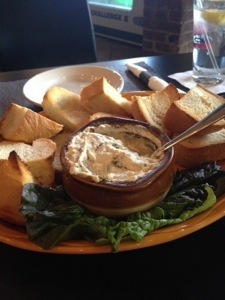 Crab and artichoke dip with Mancini’s bread at Roland’s in Pittsburgh. 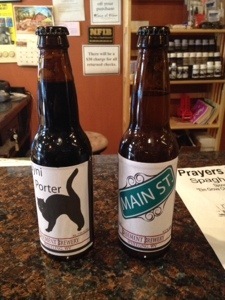 Local beer in Wheeling. 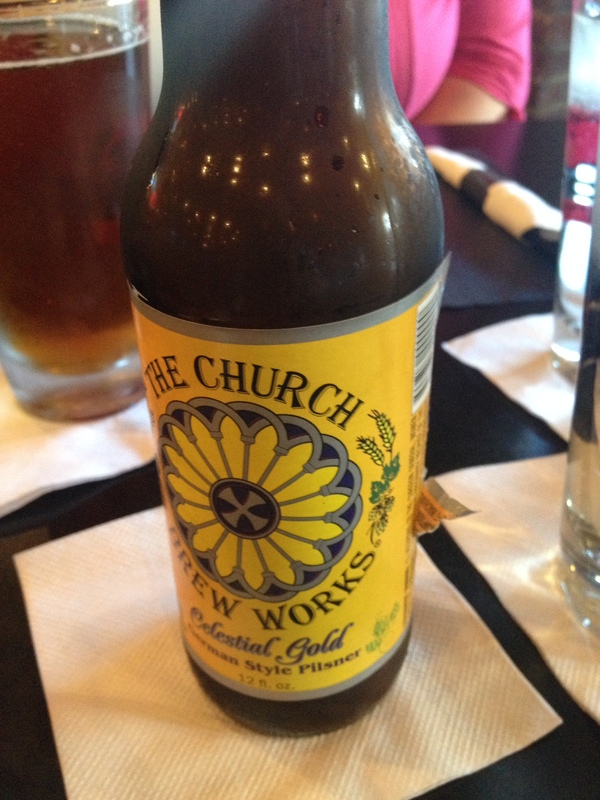 Unfortunately it was terrible, but I commend them for trying to be Wheeling’s first local craft brewery. 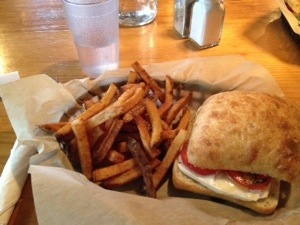 This sandwich and fries from Avenue Eats, a farm to table restaurant in Wheeling looks so simple, but it was incredible. I have dreamed of it many times since I have been back. When I was at Mandy’s house, she and her mother were asking me to describe some Jewish dishes to them. 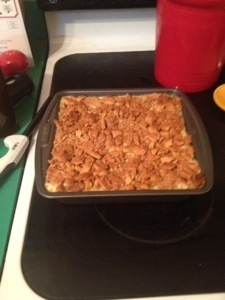 When I started speaking about noodle kugel they were eager to try it. 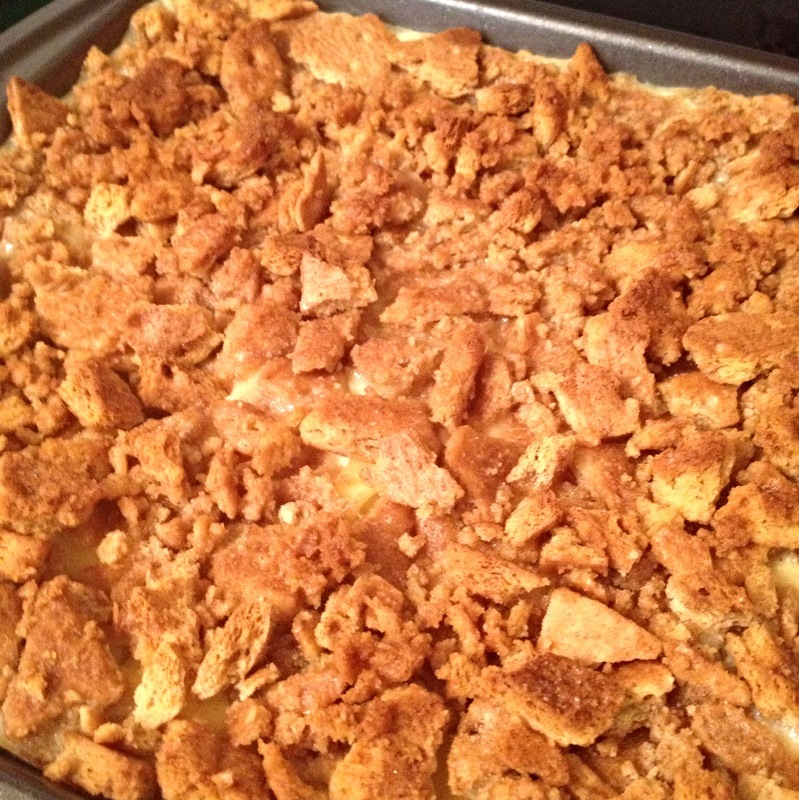 Since it’s so easy to make and the ingredients are readily available at any grocery store, I whipped them up one that night. 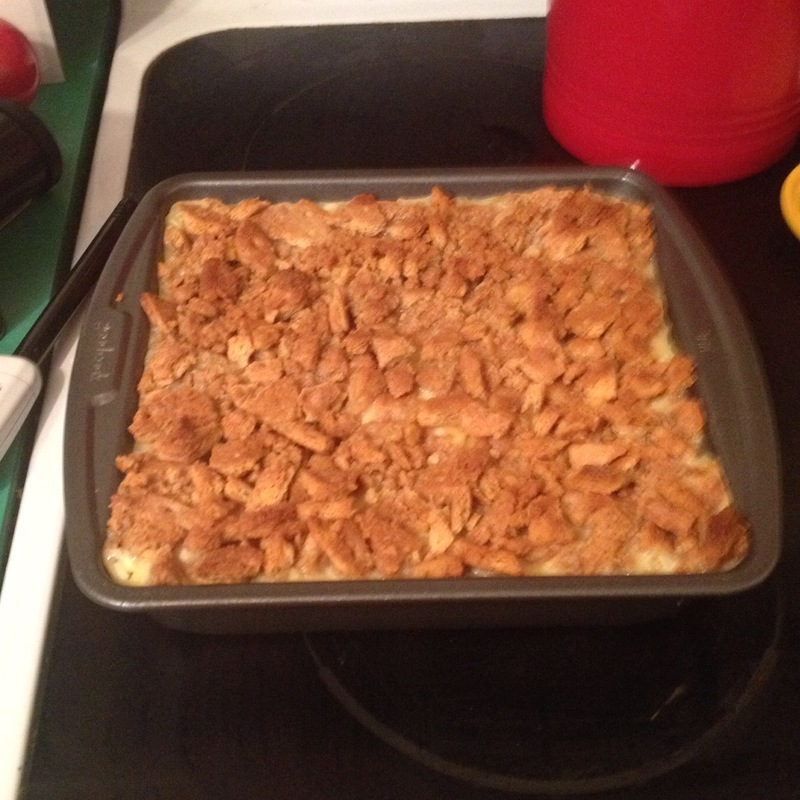 I’ll post the recipe soon. 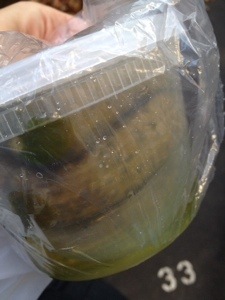 Last weekend I picked up some pickles at my local farmer’s market. They were delish!